The dimensions of the case are 169 cms x 52 cms x 45 cms. 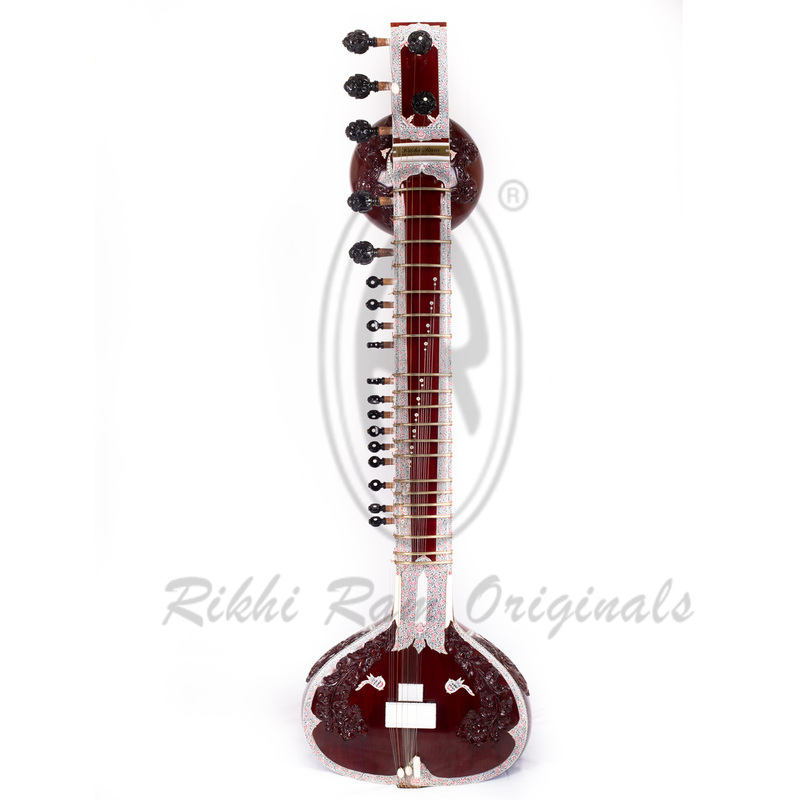 Made from well-seasoned cedar wood for best tone and sound.Fine craftsmanship, fully decorated with woodcarving and inlay of engraved celluloid.Fitted with fully decorative tumbi, fine lotus pegs and double Tarab buttons.Best quality frets, strings and pegs for stable tuning.The Teflon bridges mounted are our creation,which gives the best maintenance-free long sustaining sound. 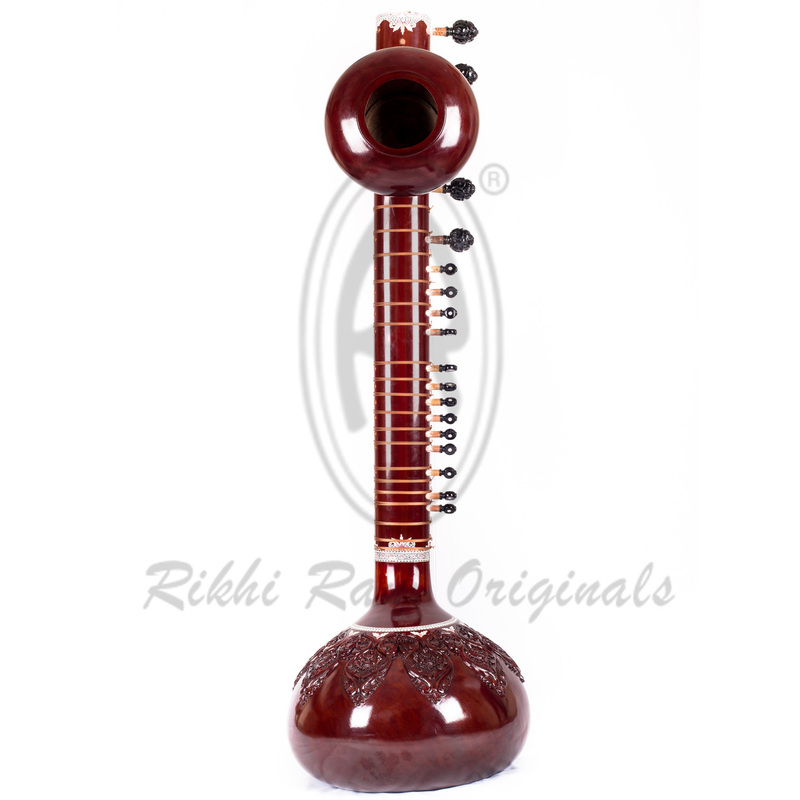 String Combination:7 main strings and 13 tarabs (sympathetic strings). 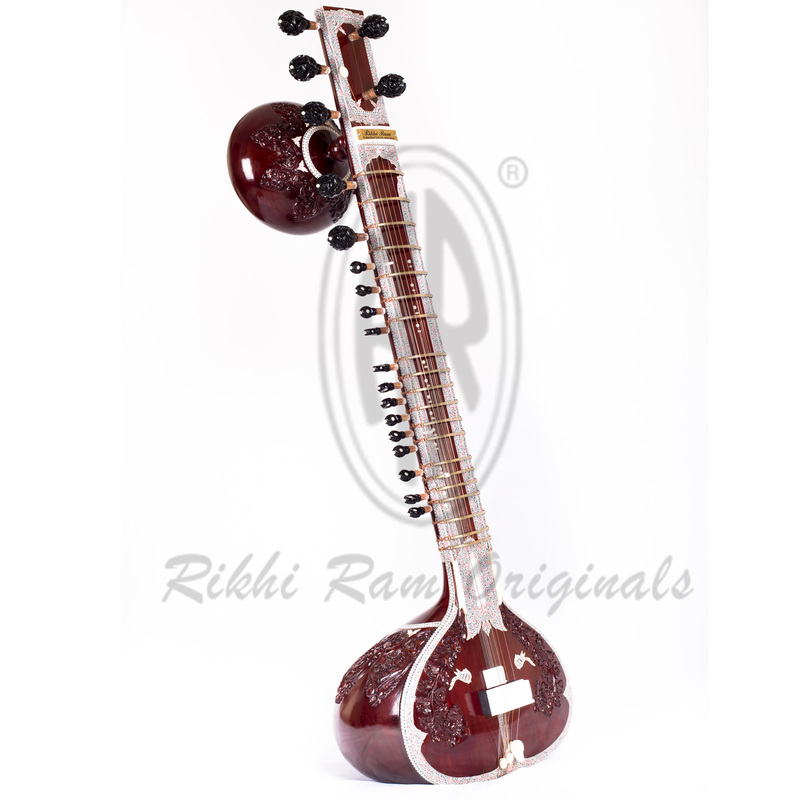 Specifications as per Panditji Sitar.Case: Thermo-fiber case available for sitar & Tumbi.